Northbound I-95 in Branford is jammed after a serious three-vehicle crash closed the highway on Friday, Nov. 9, 2018. State Police at Troop G confirms fatality. State Police: On Friday November 9, 2018 at approximately 6:44 a.m., Troopers from Troop G-Bridgeport responded to Interstate 95 Northbound, Exit 55, in the town of the Branford for the reports of a motor vehicle accident with injuries. DOT says NB congestion now at 2 miles. I-95 north remains closed in Branford between Exits 54 and 55 because of serious crash involving three vehicles. Traffic is congested 1.3 miles. State DOT says it will take 78 minutes to travel on I-95 north from I-91 in New Haven to Route 9. Without accidents or delays, the trip would take 30 minutes. State Police say use alternate routes. State Police: Northbound Exit 55, in the town of Branford is closed for a serious injury motor vehicle accident. Use alternate routes. Traffic is being diverted off the highway at Exit 54. 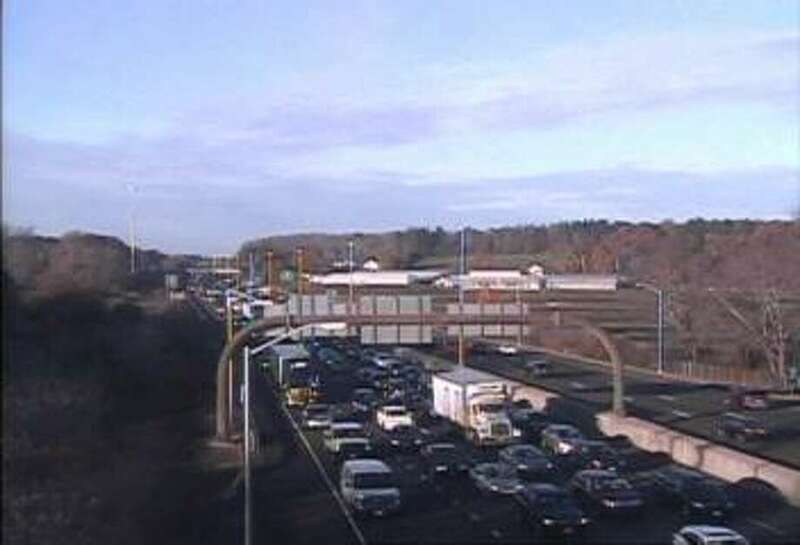 A three-vehicle crash is causing heavy northbound delays on I-95 in Branford. Police said there are injuries in the crash. The accident, reported just before 7 a.m., has closed the right lane between Exits 54 and 55. Average speeds are 29 mph, according to the state Department of Transportation. Traffic cams showed at least one vehicle went off the road into the woods and a lightpole was knocked down.